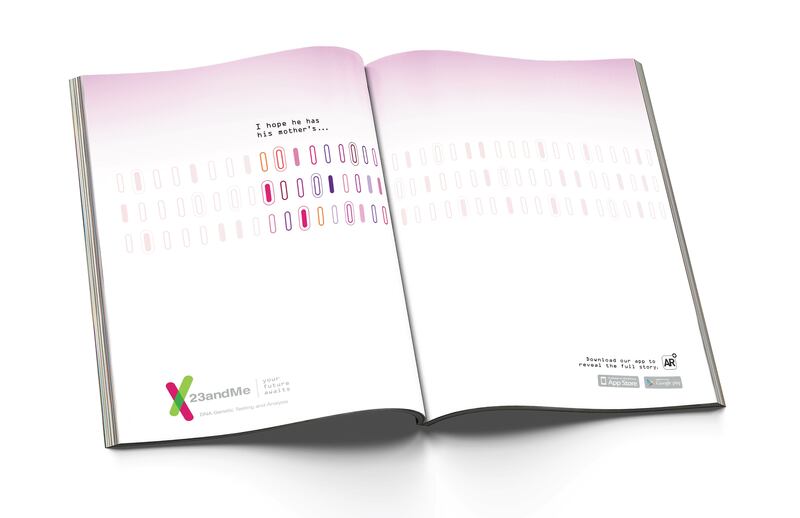 23andMe Magazine AR mockup by Elizabeth Swartz and Charlotte Frank. Recent C&IS graduates, Charlotte Frank and Elizabeth Swartz, have been awarded a Silver ADDY at the national level from the American Advertising Federation. ADDYs are awarded to entrants in recognition of their creative excellence. 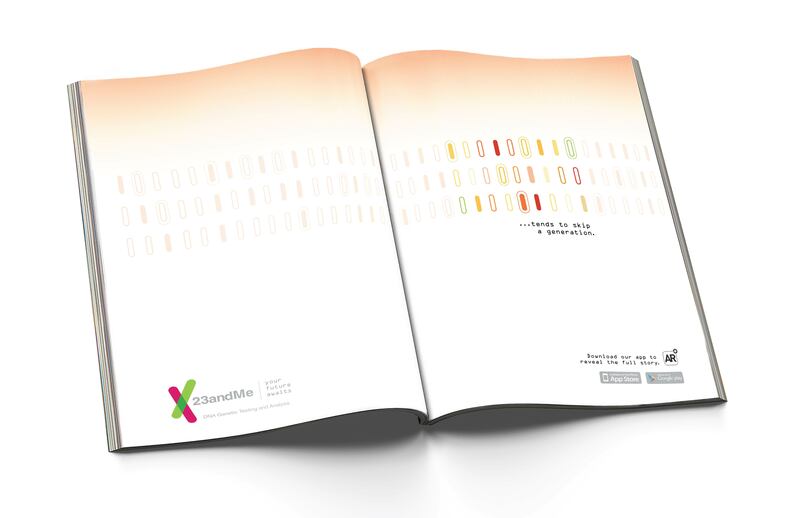 A Gold ADDY is judged to be superior to all other entries in the category. A Silver ADDY is awarded to entries that are also considered outstanding and worthy of recognition. The number of awards given in each category is determined by the judges, based on the relative quality of work in that category. 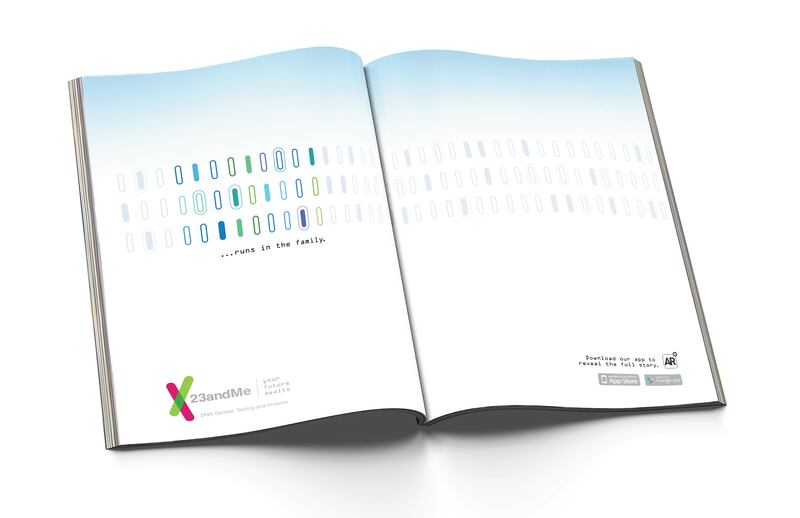 Frank (Norwalk, CT) and Swartz (St. Louis, MO) created their campaign as a concept for 23andMe, a personal genome service that exists to help people access, understand and benefit from the human genome. 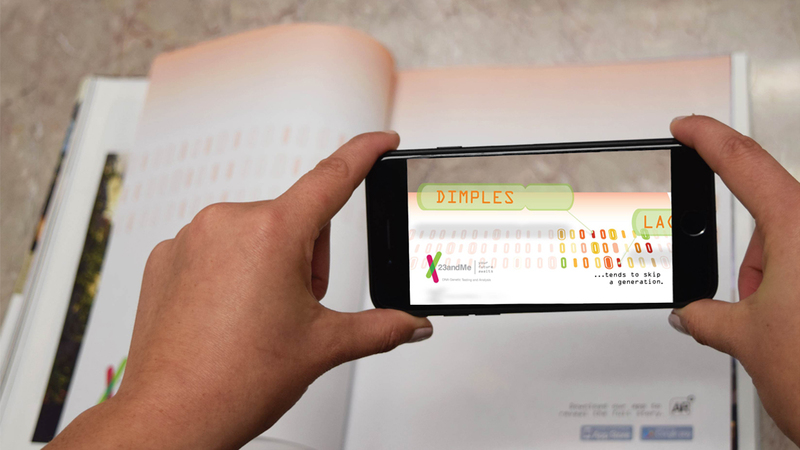 Their ads targeted couples who are looking to start a family and want to use the 23andMe service as a tool to find out more information about their genetic makeup and what traits they could potentially pass to their biological children. Frank and Swartz both graduated in May as members of Minerva, the creative portfolio specialization within advertising and public relations. As a part of the One Club’s portfolio review in May, they both landed internships with Hudson Rouge, and advertising agency in NYC. They credit this opportunity and much of their success to the Minerva experience. This brings Minerva’s ADDY total to 20 at the local, district and national level in 2018. The American Advertising Awards, formerly the ADDYs, is the advertising industry’s largest and most representative competition, attracting over 40,000 entries every year in local AAF Club (Ad Club) competitions. For more information on Minerva, visit their website.